Your warehouse is a busy place, with personnel, vehicles, and materials moving in different directions at all times. In this environment, it’s imperative that everyone be on the lookout for potentially hazardous situations. And while caution must be exercised throughout the warehouse, perhaps no area requires more vigilance than the loading dock. Not only is the loading dock one of the busiest areas of your warehouse, it’s also the most unpredictable. Not everyone is aware of delivery schedules, or what exactly is being delivered. Likewise, the drivers backing into your loading dock are not your personnel, and they’re not aware of all of the safety guidelines you may have in place. So how do you ensure that your personnel stay out of harm’s way, and that your warehouse dock remains safe at all times? It’s hard to say enough about the benefits of creating a strong safety culture at your company, and backing it up with proper training and procedures. Onboarding processes often focus exclusively on getting the job done, but neglect to discuss how to get the job done safely. Safety procedures should be clearly laid out, complete with descriptions of potential hazards, rules governing prohibited behavior such as jumping from the dock (a common cause of back, ankle, and knee injuries), and a safety checklist. Among other considerations, this checklist should govern rules around inspection, cleaning, and essential safety equipment. Additionally, dock safety training for all personnel is an invaluable investment. Due to the regular receiving and unloading that occurs in front of your dock doors, this is often one of the most consistently dirty places in your warehouse. Every piece of debris on the floor is a potential tripping hazard that can send someone down to the floor or over the edge of the dock. Having procedures in place to keep it clean is one of the simplest ways to avoid sticky safety situations. Then there are the dock doors themselves. Doors get stuck, or temperamental, or otherwise start acting not as expected. Get that taken care of and get it taken care of quickly with on-site repairs at your warehouse dock. And when your dock doors reach the end of their lifespan, make sure to go a supplier you can trust to get top quality warehouse doors that will last for years to come. 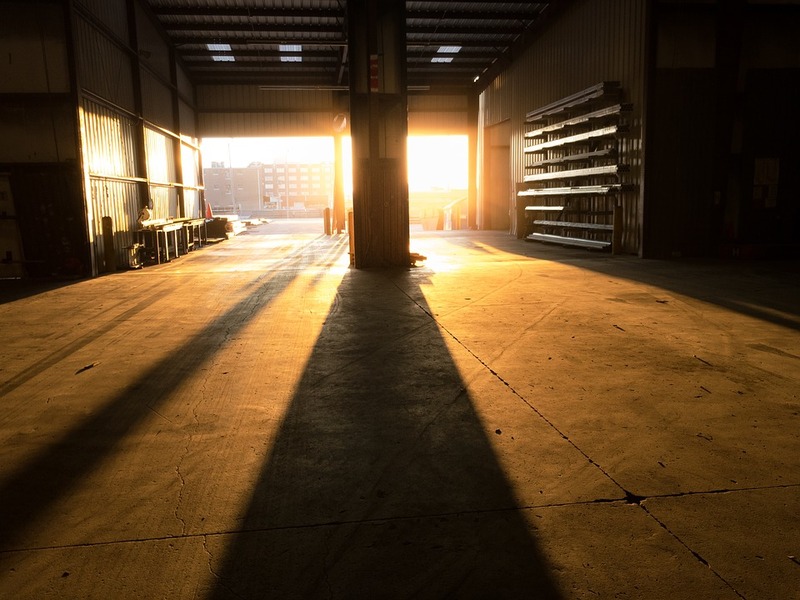 After your doors are inspected and maintenance is performed, continue those inspections to cover the equipment you use in and around the loading dock. Even the ladders going from the dock floor to the dock are governed by OSHA regulations designed to keep workers out of harm’s way. Ladders are only the tip of the iceberg. Dock levelers are available that fold up automatically, creating a barrier to prevent against accidentally backing out of the dock in a forklift. To keep people from getting that close in the first place, take care to ensure the visibility of the loading dock area and the dock edge. Bright, reflective tape or floor paint that clearly designates walkways and hazardous areas gives everyone a heads up before they wind up in harm’s way. Other equipment can further improve safety, like a dock shelter to keep snow off of loading docks in the winter time. Whatever your warehouse dock needs in and around St. Louis, MO, from purchasing new equipment to repairing what you’ve already got, Benco Industrial Equipment has you covered. Give us a call today toll free at 888-9-GOT BENCO (888-946-8236), or locally at 636-486-1693.